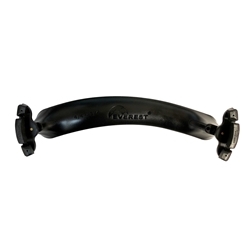 The Everest Collapsible Violin Shoulder Rest is an ergonomically designed and patented collapsible shoulder rests that provides comfort for violin players. A safe and robust design that contains NO pinching hazards. Its collapsible design easily fits into your violin case. Fits 3/4 - 4/4 Size Violins.